If your network is in need of an upgrade or if you’re tired of having to constantly help your parents and grandparents with all their Wi-Fi woes, Amazon is running a massive one-day Cyber Monday 2018 sale that you definitely need to check out. 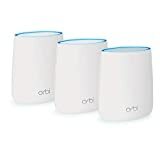 A whopping 35 different home networking products are covered in the sale, including wildly popular items like the $300 Netgear Orbi Whole Home Mesh WiFi System for $199.99, the $200 Netgear Nighthawk AC2300 Dual Band Smart WiFi Router with 16,000 5-star reviews for just $134.99, and a best-selling Wi-Fi range extender for just $27. You can also save big on a bunch of different cable modems, which are the gifts that keep on giving. Buy one, return the cable modem you currently have to your ISP, and your bill will be slashed by up to $120 a year because you won’t have to pay a modem leasing fee anymore. 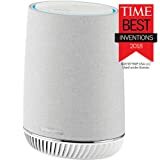 Shop the full Cyber Monday home networking sale right here on Amazon’s site, or check out a few of our favorite deals below.